The final stop is Richmond station. 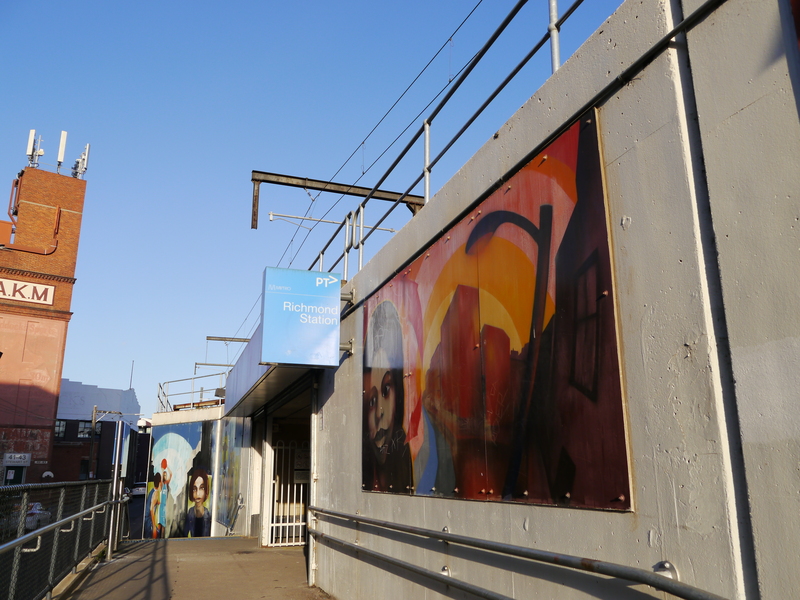 The walls to the entrance of Richmond station are filled with commissioned works. What was once considered an illegal and offensive art form is now being woven with the most mundane aspects of everyday life like train stations. The City of Melbourne is embracing it’s identity as a major centre of street art and this is evident in the placement of artwork along the walls of central stations such as Richmond or the main alleyway of Melbourne Central station. 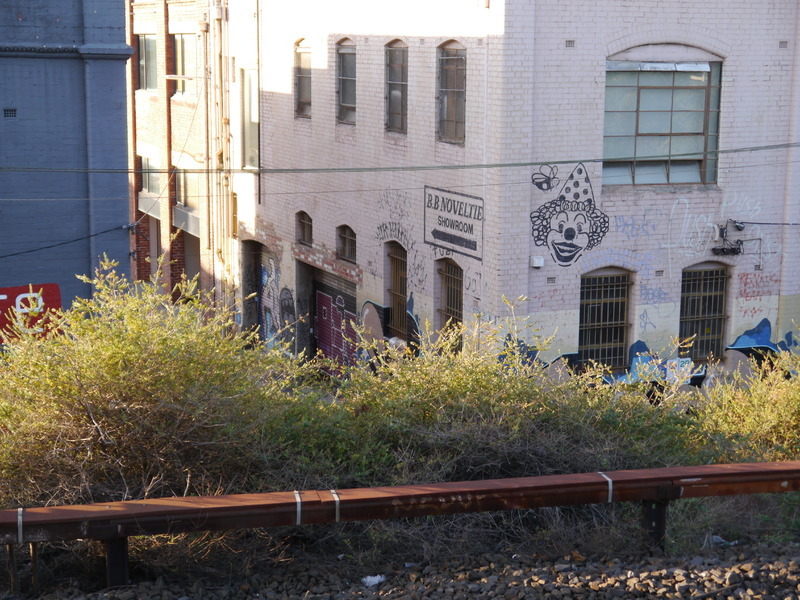 However the juxtaposition of commissioned works along the walls of the stations and the ‘illegal’ works in the tiny laneways just opposite the station is comical. Both have value yet while non-commissioned works are largely diverse in form and style, we tend to see the homogeneity in commissioned works that are more focused on aesthetic appeal. Hope you enjoy the tour and if you do take any Instagrams, make sure to use the hashtag! 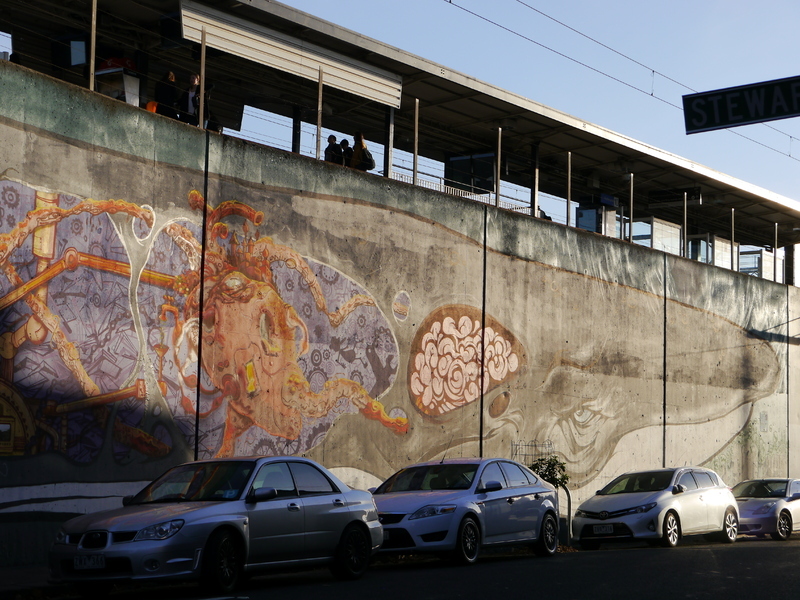 “Final Stop: Richmond,” Street Art deTours, accessed April 24, 2019, http://streetartdetours.com/document/1017.